A break in routine. I love our rhythmic flow most weeks, but yesterday afternoon I found myself texting friends for a last minute get together (everyone has kids so no go) and begging David to meet me at the library (also couldn’t happen). So what’s a mom to do? I took my kids to a bar. Ok, ok, Ultimate Ales is really a bottle shop with an incredible selection of craft brews, but they do have some available on draft. 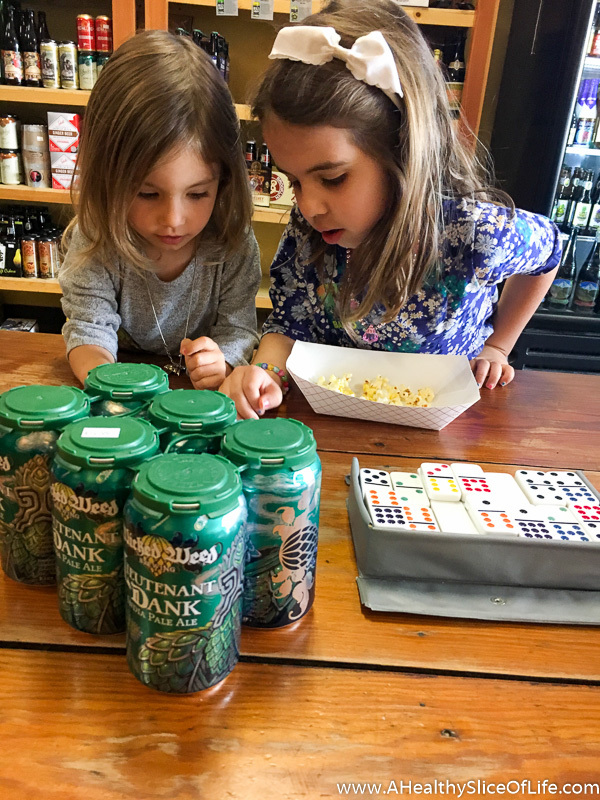 I intended to buy a 6 pack and head home (I just realized how bad that sounded- I wasn’t going home to drink the 6 pack, LOL, we were just out of beer), but the atmosphere was welcoming and there was space at the table to play dominoes and war. Toss in the free popcorn they offered and the girls basically begged to stay. We’ll do carrot soup tonight. Scholastic DVDs. We’ve settled into a comfortable place of once a week TV, usually Friday afternoon/evening. It’s working really well for us. It’s not a stated rule, but has become such the norm that the girls don’t even ask or mention it anymore. When we do watch, it’s usually these Scholastic DVDs from the library. Have you guys seen them? I LOVE them. They bring books to life in gentle, but engaging way. I’ve read more about rapid imaging in a lot of today’s kid programs and how much the type of TV instead of just how much matters in early childhood. Here is a TED talk on the subject if you’re interested. You Read to Me, I’ll Read to You Books. We’re at a place where Hailey wants to read us books at bedtime. I love that during the day, but sometimes at bedtime, it moves a little too slowly and she’s tired but doesn’t want to admit it. These books are great for those times, as it switches off who reads which line. They’re great for the stage we’re in right now as they engage her, but also gives her a break. I have tried (and failed) 3 separate times to make my own starter so when Jen offered to bring me some of hers when we got together earlier this week, I geeked out. 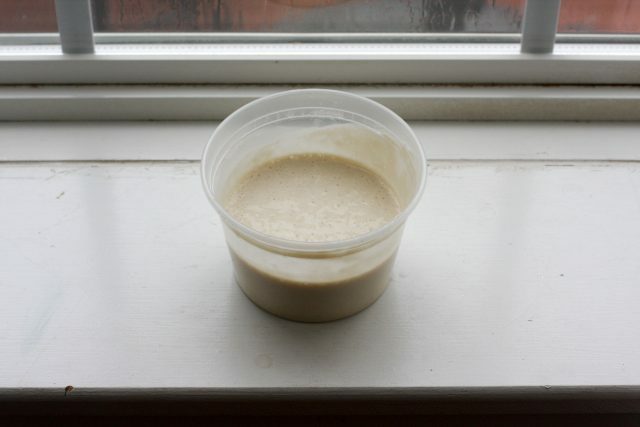 If you are interested in sourdough, you must check out Jen’s detailed post on everything you need to know about making and baking sourdough bread. Honestly, I’m terrified I’m going to kill the starter and mess it all up (baking is not my forte), but I ordered a kitchen scale and everything so I can at least give it my best shot! Family Photo Albums. I finally finished my 2016 Photobook. I got way behind last year and am trying to stay more on top of it this year by adding pages as each month passes. My plan is that at the end of the year I can just wait for a sale and order it rather than playing catch up. I used Mixbook for the first time and am super pleased with the quality. When it arrived the girls sat on the couch looking through pictures for 45 minutes, which made me smile, as that was one of my favorite things to do when I was growing up. Family albums are the best. 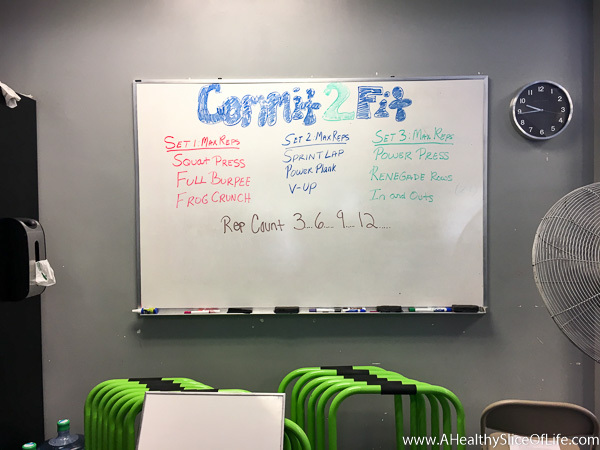 Commit2Fit Challenge. Every Thursday during the Burn Boot Camp’s Commit2Fit challenge, there is a personal best day to measure your progress. After a warm-up, we spent 8 minutes at each station, adding 3 reps to the each exercise each round and tried to see how many rounds of each we could accomplish. I used 20# weights which is pretty good for me and man can I feel it today. I absolutely love being able to track progress though, so I’m excited to see how many rounds I can increase it by at the end of the month. Do I really feel so busy that I can’t sit correctly in a chair, but instead feel the need to be ready to pop up at any point? I’m making it a point to not only sit, but kick my feet up as well. Anything fun happening for you this weekend? Are you a baseball game fan? I grew up going to Braves games with my family, and later in highschool and college with friends. I still remember the parade my mom took my bro and I to when they won the World Series. I don’t watch as much of it now, but I have so many fun memories! Haha your bar date looks so fun 🙂 A good way to mix it up from the library. I need to be more spontaneous like that. I’m excited to watch that TED talk, thanks for sharing! We don’t watch any tv with our little guy now (he’s only 6 months), but I do think a lot about this for when he’s older. I definitely want to share great children’s movies with him (partially selfish as I love Disney movies), but don’t want him to watch tv all of the time. Once a week sounds like a great compromise for the age your girls are! Oh Toni, please please please don’t feel guilty! We are at completely different stages age wise with kids and in my archives I’m pretty open about how struggled with TV for a while (H would still watch it all day long if I let her). 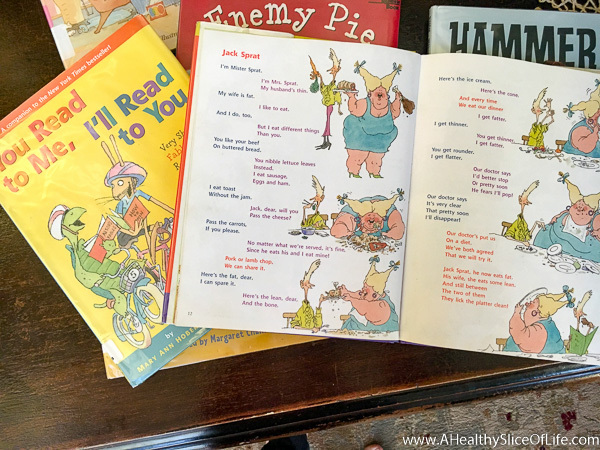 TV tokens ( https://www.ahealthysliceoflife.com/things-i-am-loving-lately/ ) worked well for us for a while, but I just noticed how much grumpier she acted with TV so we ditched it ( https://www.ahealthysliceoflife.com/preschooler-why-we-ditched-the-tv/ ). I have friends that do a lot more screen time and their kids are fine (smart, interactive, fun, etc), but for us, it just works better to not have a battle with it. However, I’d still call what you are in “the survival stage” so whatever you need, and do not guilt yourself. It’s such a short phase overall and things only get easier in that respect. Now that my girls are 2 1/2 and 5 1/2 they can play together and independently. It’s an entirely different ballgame! I too was going to comment with a omg you are mother of the year for only allowing tv once a week comment also but now seeing those posts above I feel a bit better. We have a small condo, no seperate play area and our sons bedroom is upstairs, still a no no by himself at 16 months so if we have the news, a show, sports etc on, he’s watching it also. He’s also not the best at independent play when I’m home- anyone else and he’s fine- so sometimes tv is the only way I can catch a break. Glad to know it gets a little easier to cut back as they get bigger! Thanks for the reassurance Brittany! I do still feel like I’m still in the “trenches” with figuring out how to navigate 2 kids. My son has been in the toddler pushing/hitting phase for awhile so we’ve mostly stayed close to home but I know I’ve got to eventually learn to navigate public with both of them 🙂 Thanks for sharing the links regarding TV and your struggles; were in a similar boat. I was noticing a lot of behavior problems with my son with tv so after a few week long detox’ I changed his programming options from Dis Jr and Nick Jr to PBS only and it’s been amazing the difference. Even last week during a weak moment I let him watch Mickey Mouse Clubhouse and almost instantly he was back to old behaviors….so now we’re back to Thomas and Daniel Tiger 🙂 I do hope eventually we can transition to much less if not 1-2x a week but like you said this is a season that will eventually get much better. 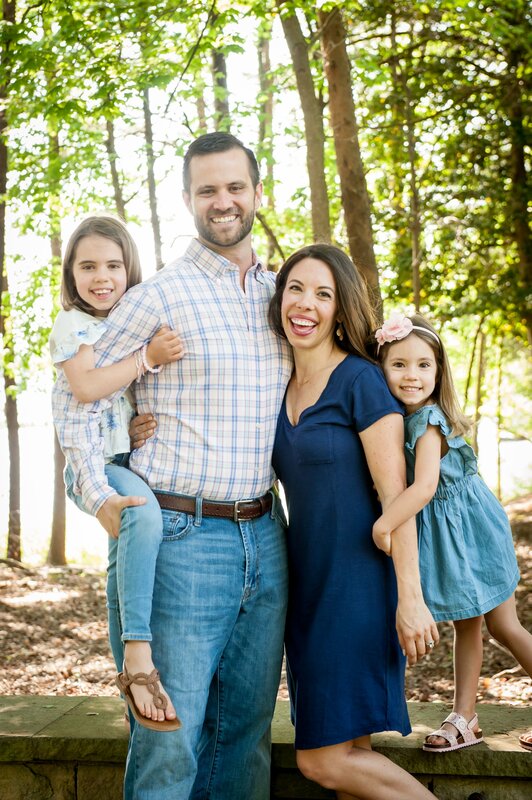 I’m glad I reached out – I’ve been a long time follower but since recently leaving my career to be a full time SAHM your blog has been a much needed saving grace! 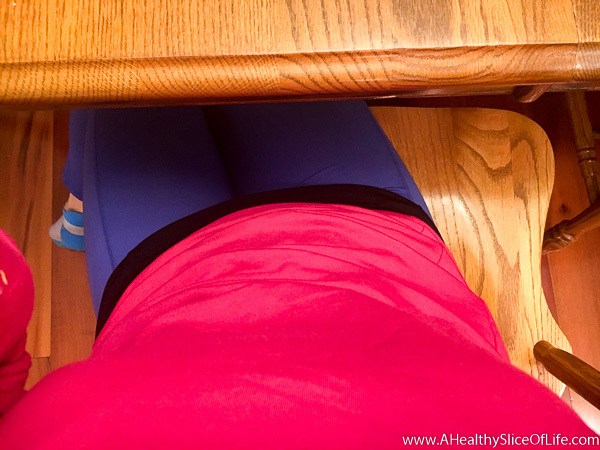 I love mixing it up when we get in a rut! I have to give you a shout out for your 20 lb weights. Way to go! I did 15s yesterday and was working for it. I love the idea of getting better and tracking progress each week. Have a great weekend! I LOVE the scholastic dvd’s!!! They take me back to my childhood and I really enjoy watching and reliving the stories with my kiddos! I’m so impressed that H can read! Go girl! I too love the library, we haven’t been in a couple of weeks. I need to check out those DVDs. I totally get the “I need something fun and spontaneous to do right now” feeling & it’s good that you went out and did something! It looks like it all came together. 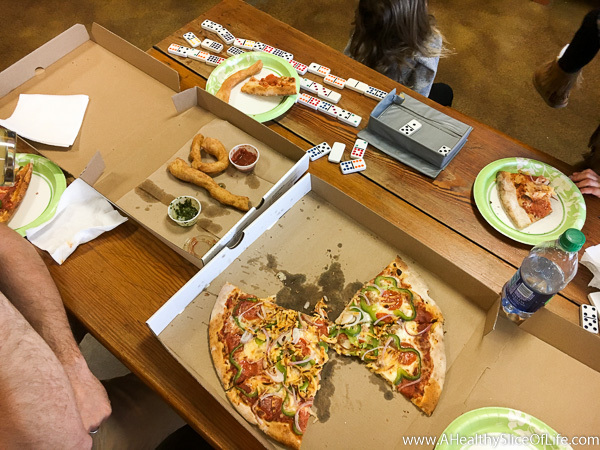 I always played dominos with my grandparents and still love it. Have a great weekend! We are digging Planet Earth and Blue Planet on Netflix right now. I loved them when they first came out and it makes me so happy when my daughter’s jaw drops at some of the animals. We play a fun game of “make the animal noise” when a new one is introduced. Way better than anything you can find on Sprout or Nick Jr. IMO. I will have to check out those scholastic DVDs! I have not heard of the Scholastic DVDs but I am so glad you mentioned them because I am totally going to buy some!! 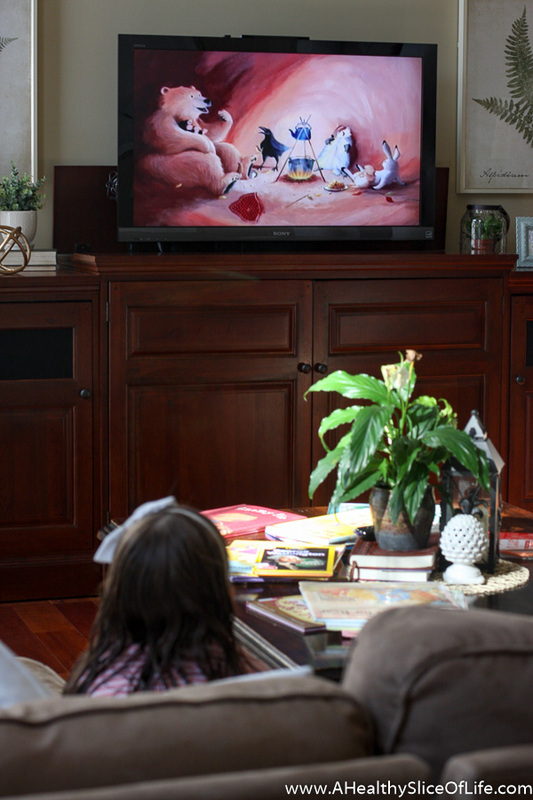 Seems like such a better “form” of TV for my kids to be watching…plus I totally recognized the story on your TV. We have that book, “Bear Snores On”. Thanks for sharing! Happy weekend!! Love the last minute date! Our kids always get so excited when we decide to randomly eat out or do something completely out of routine. Definitely a good reminder to do more spontaneous things! Haha! I’m hoping that this year we can take the kids to a baseball game. It’s the one sport I enjoy watching and I think the kids would have fun as well, especially since it’s not just about the game, but the whole ballpark experience. hahaha you are sitting halfway out of the chair! always on the go woman! Can’t beat those family photo albums – past, present, and future! When I saw your domino/beer outing on IG story, I was pumped for you. We have a board game cafe here in SD that is an absolute blast! That’s the perfect way to spend a restless Thursday afternoon. 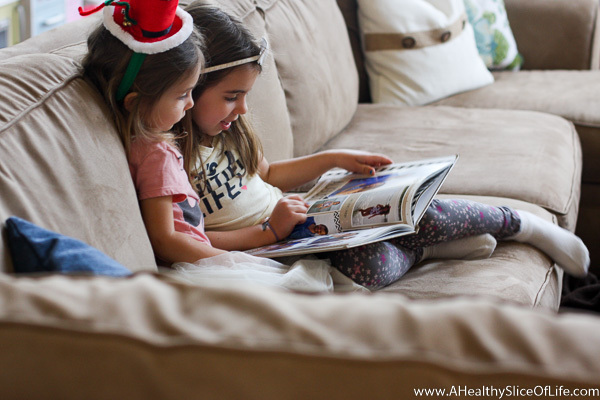 I’m in admiration of the simple, easy ways you infuse education into your daughters’ lives. TV? Sure, but it’s going to an educational program? Want to read at night? Sure, but here’s the effective way how. You’re constantly working toward a brighter future for them, and it totally shows. If anyone could pull off homeschooling, no doubt about it: it’s you, Brittany. Heck yes for fun places! No judgment on if you were buying a 6 pack, or multiple items, but how fun for you all to hang out! I just wanted to say thank you for posting what you are doing with your little ones. I got the book you recommended for learning to read (my daughter’s teacher doesn’t communicate what I can do to help her read, and I have no idea what to do) so I used that book “100 lessons to read”, and my daughter is doing so well with it. So THANK YOU! I also appreciate the learning tools you use and I use these to supplement her studies as well.